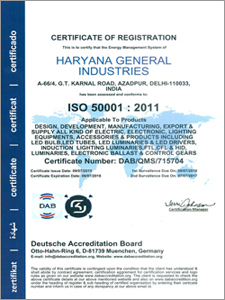 As a professionally managed organization, we offer superior quality lighting solutions to the clients. With more than four decades of industrial experience, we are setting unprecedented standards in the industry every day. We have hired a dedicated team of researchers, who help us to develop an impeccable quality of products with latest designs. Our R & D department is well equipped with the state-of-the-art computerized machinery and software facilities in order to develop innovatively designed products, at competitive prices. A wide range of extensive tests are carried out by our researchers with the help of computerized testing facilities that includes wide range of photometric, electrical and other tests that conform with the international standards. 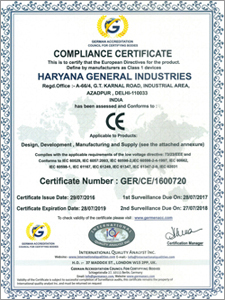 Established in the year 1972, we, Haryana General Industries are a noted Manufacturer and Exporter of LED Outdoor Lights, Roadway Lights, Area Lights, LTQ Lights,Traffic Lights, etc. These products are promoted under the brand name of Matador. 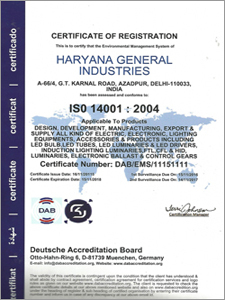 As an ISO 9001:2008 certified organization, we offer high quality standard lighting solutions in order to gain the trust of customers based all across the globe. As a part of our endeavor, our main aim is to achieve total customer satisfaction with absolute focus on quality and service. Under the able guidance of our mentor Mr. Kishu Gupta, we are exporting our range in Europe, Asian Countries, Middle East, Africa and China.